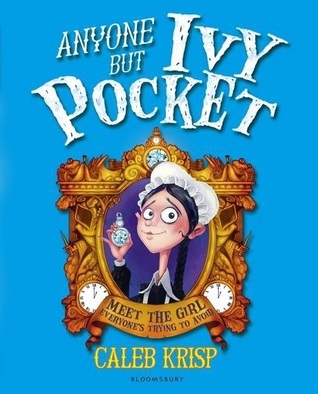 Ivy Pocket is a twelve-year-old maid of no importance, with a very lofty opinion of herself. Dumped in Paris by the Countess Carbunkle, who would rather run away to South America than continue in Ivy's companionship, our young heroine (of sorts) finds herself with no money and no home to go to ... until she is summoned to the bedside of the dying Duchess of Trinity. For the princely sum of £500 (enough to buy a carriage, and possibly a monkey), Ivy agrees to courier the Duchess's most precious possession – the Clock Diamond – to England, and to put it around the neck of the revolting Matilda Butterfield on her twelfth birthday. It's not long before Ivy finds herself at the heart of a conspiracy involving mischief, mayhem and murder. It was a little hard for me but I still liked it. But I don’t know if I would go out and read it again.